Verdi's 1853 spellbinder of Opera's Golden Age to rank with the rosiest of recollections of recent glories at the Teatru Astra. This throwback to the golden age of opera is a perfect storm of excitement: a poignant human story spiked with ferocious drama and fraught with conflicting deep seated emotions and sharpened resolve. It is a winner from the word go. Verdi created his most glorious music mixing gallantry with the ethereal to reach truly astonishing heights. His genius for the dramatic shines forth undimmed throughout. In 'Il Trovatore' he never nods; his flair for the exquisitely melodious never lacks. It is indeed a top crowd puller as only a few are. This is indeed why people go to the opera! 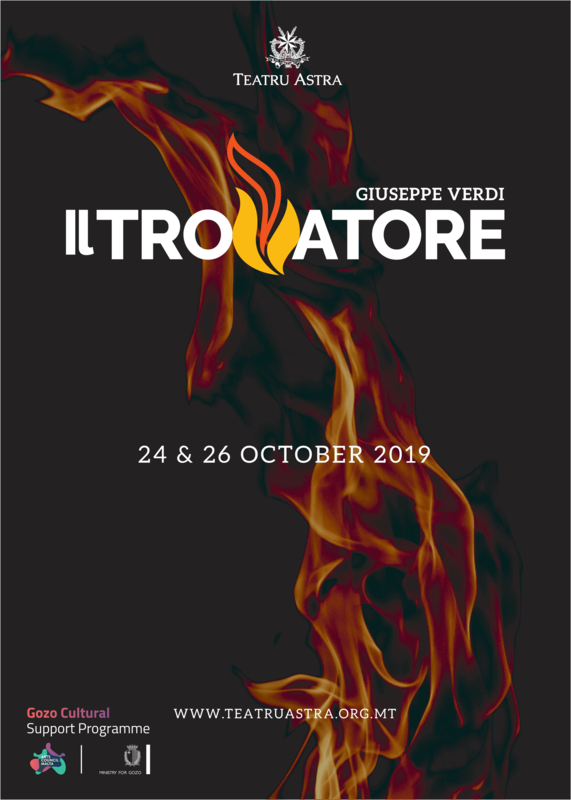 Teatru Astra is laying on a new production of 'Il Trovatore' on Thursday 24th and Saturday 26th October 2019. The opera Il Trovatore is being produced with the assistance of the Gozo Cultural Support Programme. Online booking and more information is available from www.teatruastra.org.mt.